Crafted with an antique look and feel, this sterling silver bracelet features a rigid, intrecciato-engraved band and large ID plate. 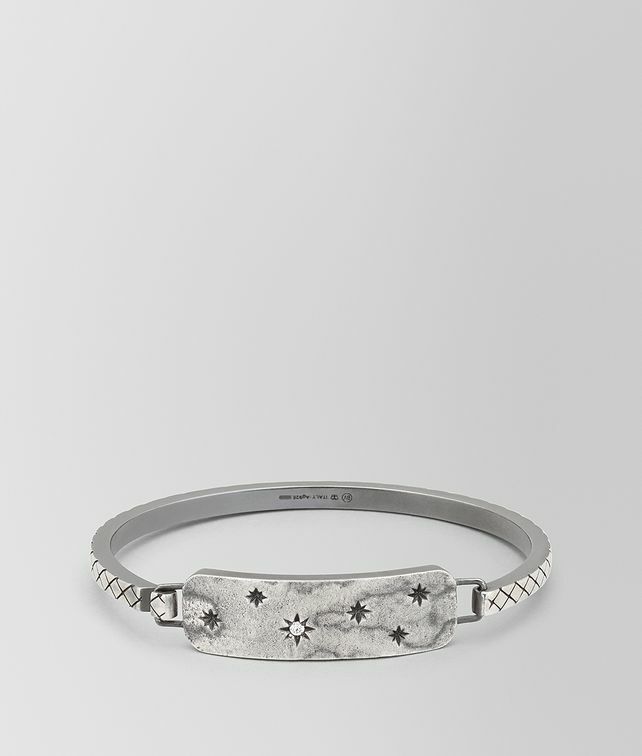 The plate has a hammered, irregular surface that recalls a cloudy night sky−the engraved stars are crafted using traditional burin techniques. A cubic zirconia stone adds a point of light. Open and close by gently pressing on the side hinge.